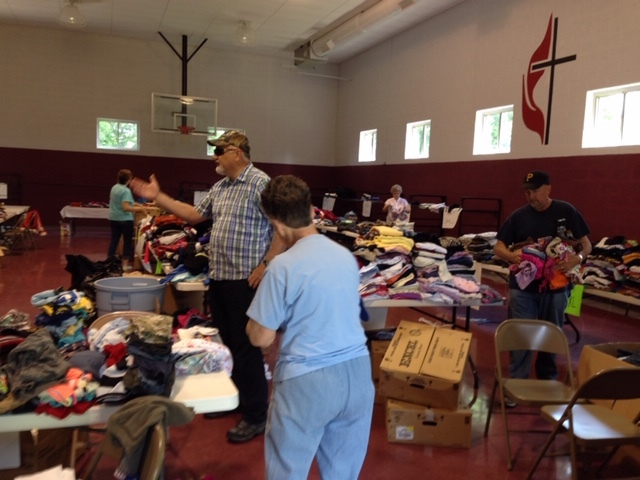 The West Virginia Council of Churches set up a shelter during the 2016 flood, just one of the many things the council does within the state. Jeff Allen knew that taking over as executive director of the West Virginia Council of Churches wouldn’t be easy. So, it didn’t take him long to become fully immersed in the work that was ahead of him. It was a fitting initiation for Jeff who, for the last seven years, has been a guiding hand for the Council of Churches during things like natural disasters but also for the council’s other programming that has included topics such as Faith and Order, Family Concerns, Government Concerns, Interfaith and Prison Ministry. Jeff was a longtime board member and also a project director for the Healthy Kids and Families Coalition before becoming executive director in 2012. He is not only the spokesperson for the council, but he also serves as the council’s coordinator for ministries and is a liaison to the state’s legislature. But it’s the council’s work with disaster response that regularly takes center stage in West Virginia. The Council of Churches serves 14 different denominations that encompass approximately 2,000 congregations across the state. The Rev. Ed Thompson, the executive presbyter for the Presbytery of West Virginia, is active in the council as its vice president. Forrest Palmer, the presbytery’s retired interim executive presbyter, was also instrumental in the council, especially during the 2016 flooding when he led chaplains into the affected communities. Furthermore, the Synod of the Trinity annually gives the council $8,000 through Ecumenical Funds to assist it in its work. 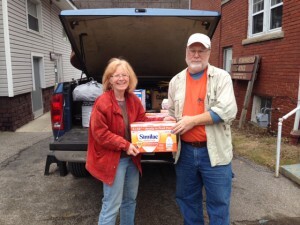 The West Virginia Council of Churches helped make available items for those in need during a recent water crisis. “I think it’s a good model for where we are as a society today,” Jeff said, referring to the ecumenical structure of the council. “We have denominations that are vastly different theologically in their practice of ministry. I think the encouraging thing, despite the division we see across the world and across the country today, we as the Council of Churches are able to come and sit together at one table and do mission together. Relationships are not only collegial, I think there is a lot of encouraging of one another. 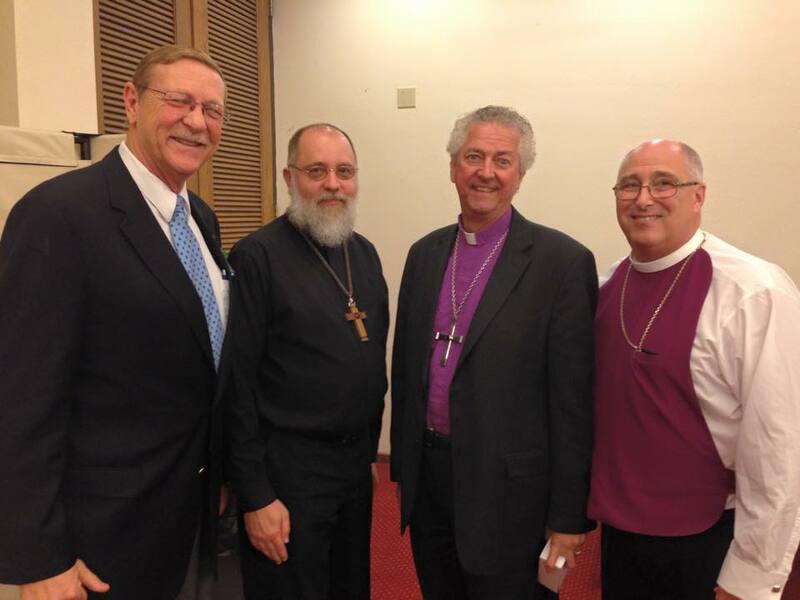 The heads of the various denominations in West Virginia do a good job at encouraging one another and lifting one another up. The council’s representatives come together to host several important events and conversations throughout the year. Among them are an annual assembly, a State of Appalachia Conference for persons of faith and others concerned about Appalachia, and the Day of Hope, which is a celebration of substance use disorder prevention and recovery. As part of the 2018 Day of Hope, a brochure was created and sent to the state’s congregations for distribution that included facts and statistics about substance abuse in West Virginia. It listed ways that congregations can help those suffering from substance abuse and where they can receive treatment. The council also hosted gatherings around the state that invited people to voice their concerns and share their practices for dealing with substance abuse. Extensive training followed these programs, leading to more than 300 clergy and laity from seven denominations coming together to share their thoughts on the issue. Former Presbytery of West Virginia transitional executive presbyter Forrest Palmer, left, was very active within the West Virginia Council of Churches. A few years earlier, the Council held 17 conversations across the state that centered on substance abuse disorders. Click here to view a video about these Listening Events. The Council of Churches has also designed an initiative that focuses on the re-entry of inmates back into society by creating local community re-entry councils across the state. It assists communities with ways they can help those coming out of incarceration succeed. “Ninety-five percent of the people going into prison are coming back out, so we have to figure out ways to make that transition a successful one,” Jeff said. It all adds up to just some of the work that is being done by the West Virginia Council of Churches on an annual basis, programs that can go largely unnoticed until a need arises.